Bring the beauty of the Big Apple into your kitchen with the Manhattan Bar Stool Black. With an accommodating design that provides the best comfort at your bar area, the Manhattan Bar Stool makes an excellent choice for a variety of décor settings. 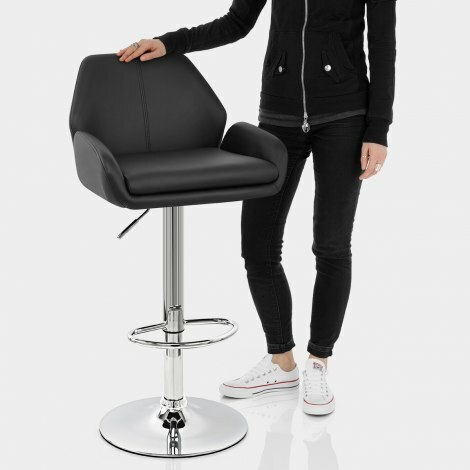 The angular foam-padded seat is cover in black faux leather and offers an unbeatably comfortable sitting experience. The generous backrest is assisted by two curved sides, producing an immensely ergonomic product. Finished in chrome, the metalwork offers a number of ingenious features. 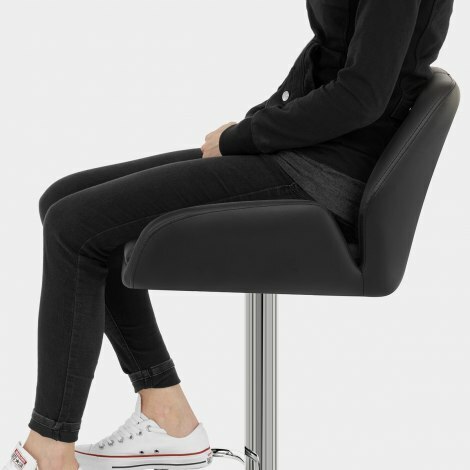 The gas lift mechanism means the Manhattan Bar Stool is height-adjustable, while the 360-degree swivel facilitates rotations. The Manhattan's rounded footrest means it's more accommodating than its predecessors while a protective ring on the base completes the stool, giving it the authentic New York effect. 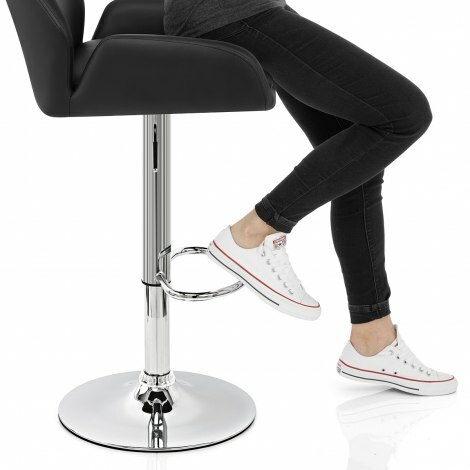 "Excellent service, great product really pleased"
These bar stools are of excellent quality. We purchased two of them from Atlantic about seven years ago and after extensive use, the faux leather on one of them had started to break-up (the other one is still perfect). Thus, this one is a replacement. I had no hesitation in purchasing the same stool, and buying again from Atlantic Shopping, which is a brilliant company to deal with. Look good.Good finish. Fair price. Great chairs look exactly the same as advertised on the website, very quick delivery and good quality.